CarGurus has 1,358 nationwide Lancer listings starting at $2,000. After cruising through 2013 with no updates, the Mitsubishi Lancer compact sport sedan receives a number of new standard and available features for 2014. Often ranked near the bottom of its crowded class, which includes such vehicles as the Ford Focus, Honda Civic and Hyundai Elantra, the Lancer certainly could use a shot in the arm to make it more competitive, although it remains one of the automaker's best-selling vehicles. While the Lancer continues to deliver decent performance and handling, reviewers have faulted the sport sedan for its inferior cabin materials and lack of cargo space, as well as its lackluster fuel economy numbers in an era when many of its competitors are managing up to 40 mpg. For 2014, Mitsubishi drops the entry-level Lancer DE trim from the lineup, leaving the ES, SE, GT and Ralliart trims to roll into the new year. Updates include a new base audio system for the ES and a new premium audio system with SiriusXM satellite radio, HD radio and a 6.1-inch touchscreen display for all other trims. In addition, Mitsubishi upgrades the seat fabric in the ES, SE and GT, and equips the GT with new sport seats. All trims except the base ES get a new rear-view camera, and an updated MMCS navigation system now includes a high-definition 7-inch touchscreen, 3D mapping and real-time traffic. Finally, the SE gets new 15-inch alloy wheels, and the GT and Ralliart receive a new gloss black interior decoration panel. Outside, the Lancer leads the way with its aggressive rounded nose, side air dams and black deep-mouthed grille reminiscent of something you'd see on an Audi. The sculpted hood and rising sidelines give the Lancer an overall pleasing shape, though some reviewers find the design a little too sedate in a very competitive class, which includes vehicles like the Elantra, with its cutting-edge styling. Auto on/off halogen headlights come standard on all trims, while the GT and Ralliart also get front foglights. All trims include power side exterior mirrors, which are heated on the SE. In the rear, the GT displays a chrome exhaust tip, while the Ralliart shows off dual chrome exhaust tips. The Ralliart also receives a unique aluminum hood with an integrated heat extractor vent. Exterior options include HID headlights for both the GT and Ralliart. Three different engines power the various Lancer trims. Starting off in the ES, a noisy 2-liter MIVEC 4-cylinder engine continues to provide base power. Generating 148 hp and 145 lb-ft of torque, it pushes the Lancer to 60 mpg in 8.8 seconds with a standard 5-speed short-throw manual shifter or 9.1 seconds with an available continuously variable transmission (CVT). The base powerplant posts respectable fuel-economy numbers of 25 mpg city/34 highway with the manual transmission and 26/34 with the CVT. The SE and GT get a more powerful 2.4-liter 4-cylinder MIVEC engine, which produces 168 hp and 167 lb-ft of torque. The SE comes equipped only with the CVT transmission, while the GT gets either the 5-speed manual or the CVT. Its 0-60 time drops to 7.7 seconds, and fuel economy numbers similarly drop to 22/29 for the SE, which receives the automaker's All Wheel Control (AWC) all-wheel-drive system as a standard feature. The GT posts fuel economy numbers of 22/31 with the manual and 23/30 with the CVT. When equipped with the CVT, the GT receives steering-wheel-mounted paddle shifters. At the top of the line, the Ralliart sports a turbocharged 2-liter 4-cylinder engine, which boosts hp to 237 and torque to 253 lb-ft. It zips from 0-60 in a noticeably quicker 5.8 seconds, but that peppy acceleration comes at a cost, as fuel economy numbers drop to 18/25. The turbo engine mates to a 6-speed dual-clutch Sportronic Shift transmission with paddle shifters. Like the SE, the Ralliart receives the AWC system as a standard feature. The other Lancer trims ride on a front-wheel-drive platform. For performance, reviewers highly recommend the Lancer SE, GT and especially the Ralliart trims, with their bigger engines, over the ES. The base powerplant and CVT combination remains unrefined and noisy, although it's adequate around town for daily driving, reviewers note. The bigger 4-cylinders deliver better performance, although fuel economy suffers. Testers similarly prefer the higher-end trims for their firmer, more responsive suspensions, especially the Ralliart, with its performance-tuned suspension, front strut tower bar and active differential, which works with the AWC system. The GT also receives an ungraded GT-tuned suspension. The ES rides on 16-inch steel wheels, while the SE gets new 16-inch aluminum-alloy wheels. Both the GT and Ralliart upgrade to 18-inch aluminum-alloy wheels. The Lancer's cabin remains its weakest point, due to an unexciting design, low-grade materials, hard plastic surfaces and limited list of standard features, especially when compared to some competitive vehicles, which include standard features like USB and Bluetooth. On the plus side, passengers will find plenty of legroom and headroom in both the Lancer's front and back seats. However, some reviewers say a lack of cushioning can make seats uncomfortable and unsupportive, especially in the lower-end trims. The GT and Ralliart get upgraded front sport seats with better support, and all except the base ES include a 6-way power-adjustable driver's seat. The front seats are heated in the SE. Cargo space remains tight in the Lancer, with all trims except the Ralliart offering 12.3 cubic feet of storage space in the trunk. That drops to 10 cubic feet in the Ralliart due to the AWC hardware. Owners seeking more cargo space should investigate the Lancer Sportback, which we cover as a separate model and comes equipped with a rear hatchback offering 13.8 cubic feet in the trunk. That expands to 46.6 cubic feet with the rear seats folded down. Standard features across all trims include air conditioning, remote keyless entry, a tilt/telescopic steering column, power windows and door locks, cruise control and a 60/40-split rear seatback. A 2-color information display and a new 4-speaker 140-watt audio system with a CD/MP3 player and auxiliary input jack also come standard on the ES. In addition to heated front seats and a power-adjustable driver's seat, the SE adds a new 6.1-inch touchscreen, a new rear-view camera, SiriusXM satellite radio and HD radio. The GT includes such additional features as a leather-wrapped steering wheel and shift knob, automatic climate control, color LCD multi-information display and 2 additional speakers for the audio system, as well as a USB port. The Ralliart also includes aluminum sport pedals, in addition to the features found on the GT. Interior options include a premium 9-speaker 710-watt Rockford Fosgate audio system, available on the SE, GT and Ralliart, and leather upholstery with heated front seats, available on the GT and Ralliart. In addition, Mitsubishi offers an available navigation system with a 7-inch HD touchscreen for all trims. All Lancers come equipped with 7 standard airbags, including a knee airbag for the driver. Active stability control and antilock brakes with electronic brakeforce distribution are among the other standard safety features. Optional safety features include rear park assist sensors. The Lancer was named a Top Safety Pick for 2013, which should roll over to 2014, while the NHTSA gave the 2013 Lancer an overall safety rating of 4 out of 5 stars. 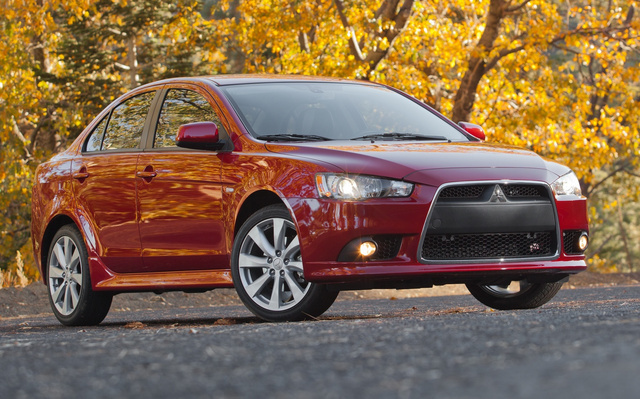 What's your take on the 2014 Mitsubishi Lancer? Have you driven a 2014 Mitsubishi Lancer? 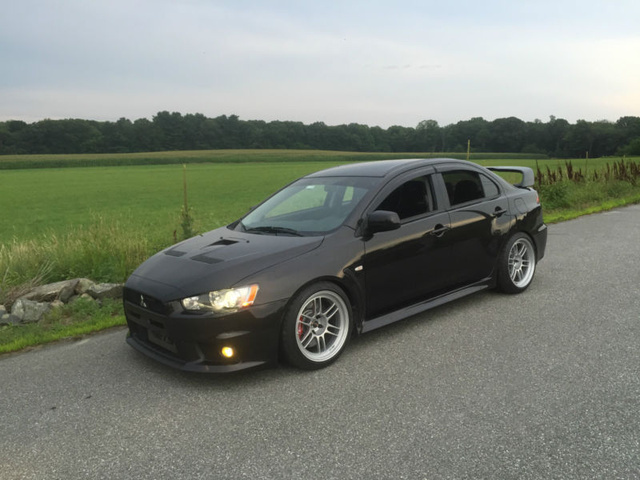 Would A 2014 Lancer ES Be Expensive To Own?